EVAA is an online survey platform. Apply surveys to the moment of truth and act proactively with our mobile application or web. 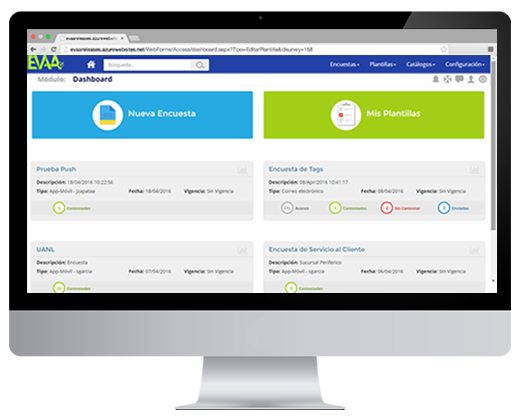 It´s a software that fully supports the functions of a Service Desk or Customer Service Center of the organizations, from the initial call of the Customer or the direct request for the WEB, until the survey of evaluation of the required service .